The Blacklist is a Drama Crime Mystery TV Series created by . It stars Megan Boone, Diego Klattenhoff, James Spader, among others. 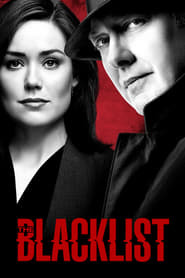 The Blacklist is currently rated 7.0 stars on the ReelBugs scale. Seems interesting and good. Gonna start watching this series! Hope I like it! Looks pretty cool, thinking about starting it. Any insight/opinions on it from people who've seen it? I've been looking up trailers all night, and this one's the first of them that looks decent.